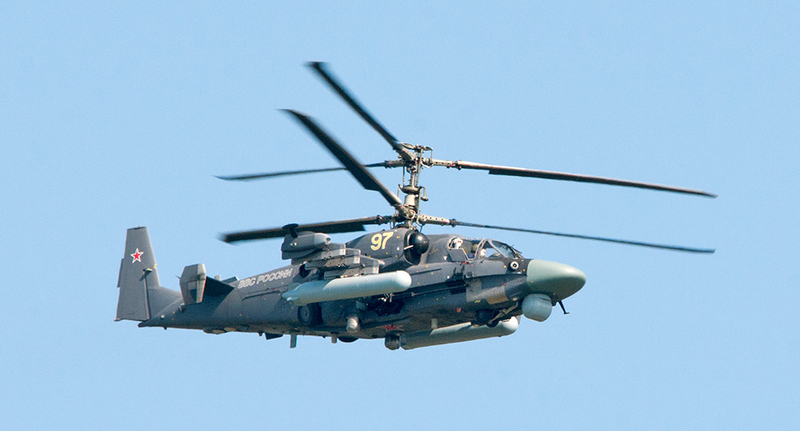 The Russian Ka-52 is the two-seat modification of the Ka-50 Black Shark, with the continued feature of shock-absorbant ejector seats. 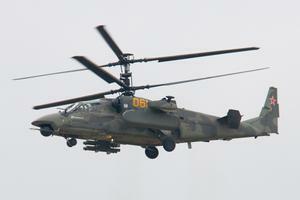 The powerplants are also upgraded versions of the Ka-50's Motor Sich TV3-117VMA turboshafts. 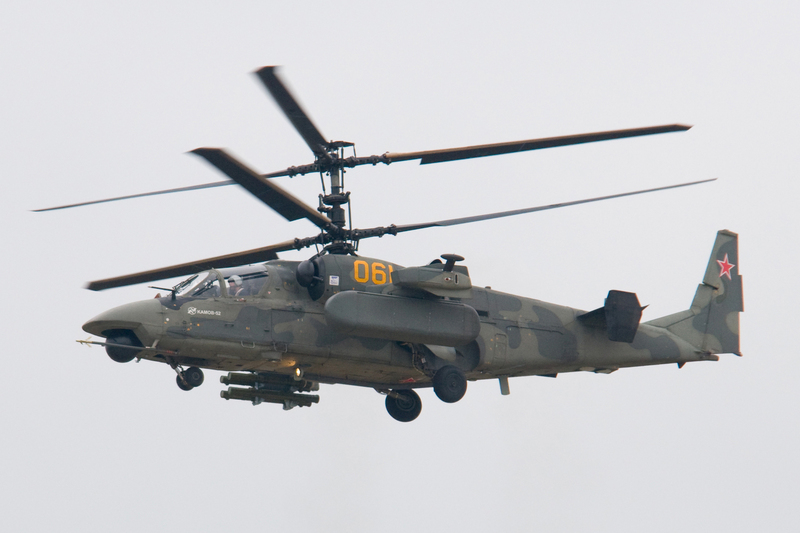 The Ka-52 Alligator is equipped with a 30 mm 2A42-1 aircraft gun and may be fitted with a Strelets missile system, guided missiles (Ataka and Vikhr-1), and S-8 unguided missiles. Resources related to the Ka-52 Alligator, provided by the Vertical Flight Society. Resources related to the Ka-52 Alligator, provided by public sources across the internet.